Ah Fatt Penang Koay Teow Soup's stall in Kuan Onn Tim Sum serve one of the best koay teow soup you can find in KK. 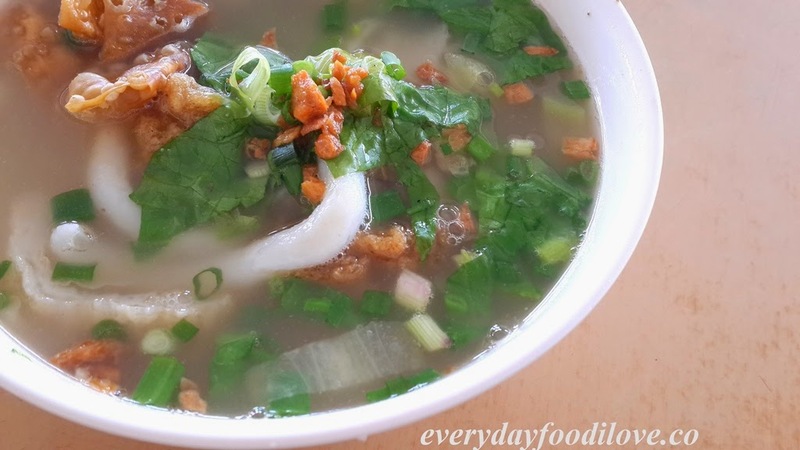 Crowded in the morning, the restaurant is always filled with patrons enjoying a hearty, tummy-warming bowl of Koay Teow Soup. 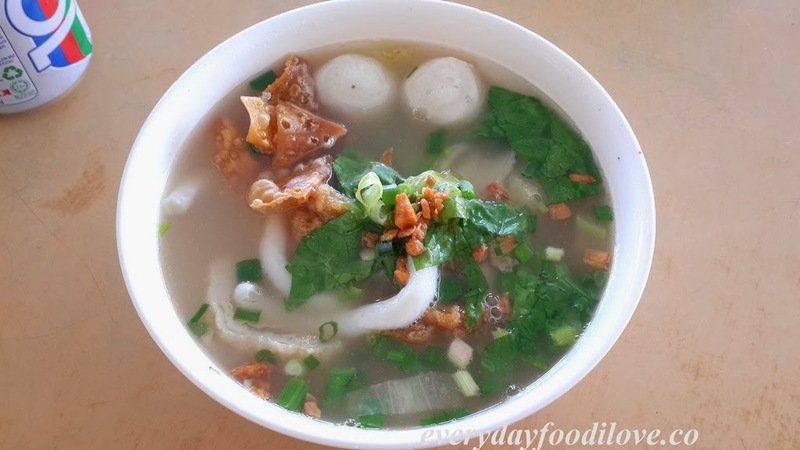 A few pieces of bouncy homemade fish balls accompanied by fish noodle, fish cakes, fish puff, shredded lettuces and lots of fried garlic for the added zing, drenched in flavourful and savoury-sweet broth. 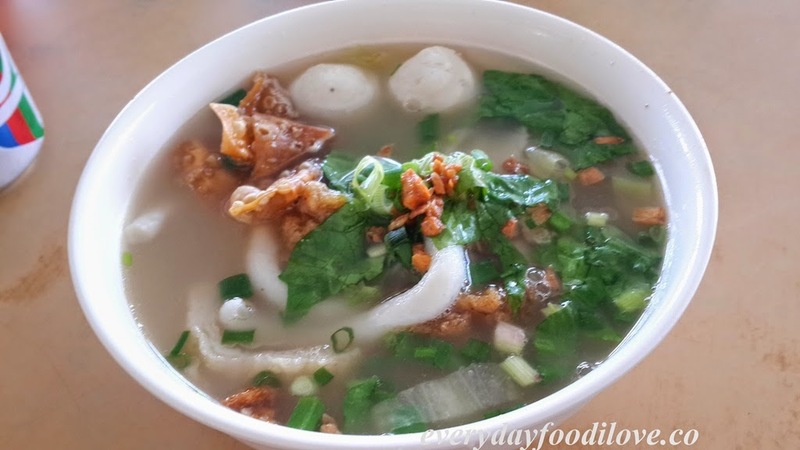 The koay teow is silky smooth with a thicker texture, offering a certain bite. It tasted really good together. 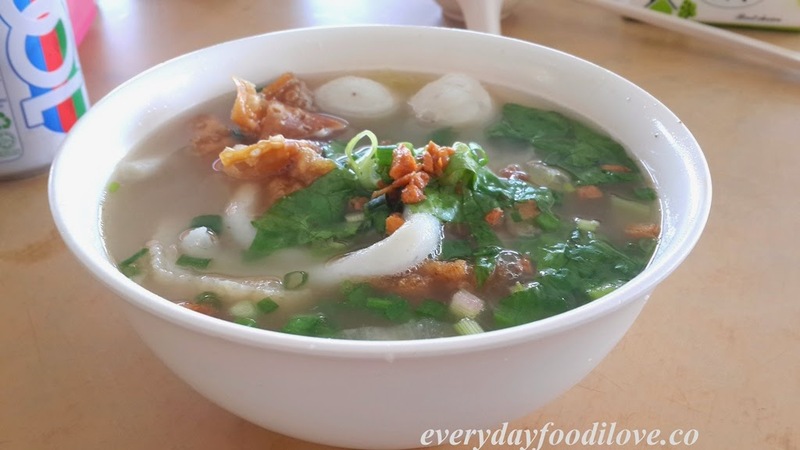 One of the best part of having Koay Teow Soup at Kuan Onn Tim Sum is the varieties of ingredients available for you to mix and match base on your own preferences; fresh fish fillet, fish head, assorted fish products, pork, pork innards and wantan.